What fuel does your boiler use? Will it be fitted in the same location? Do you require the same type of boiler? What type of boiler do you require? Please include bathrooms, ensuites & shower rooms. Where does your flue come out? Do you require a Smart Thermostat? How quickly do you need your new boiler? How would you like to get your quotes? We'll find up to 3 approved engineers to contact you directly. Engineers offer their quotes online. Shortlist up to 3 yourself. I just need a budget price. We'll only contact you about this enquiry. Nothing else. A member of the Boiler Guide team and up to 3 engineers will give you a call. No one else. Is there anything else you think our engineers should know? Get a boiler repair quote now! 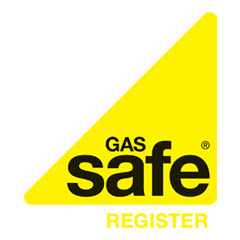 How much will your new gas boiler cost? The price generated is indicative only, final costs will vary between suppliers. We always recommend comparing quotes from multiple companies. Our unique service enables you to get free quotes for your new boiler from reputable UK installers, compare them and choose the best. Why Get Quotes with Boiler Guide? "RBD Multitrades did a great job installing our new boiler - we’re very happy with our new Worcester Bosch boiler and Nest thermostat. If you’re looking for a fair price and high-quality work look no further." "Very pleased with Heatlex Group UK. Within 4 hours they’d completed the work - the new boiler was up and running and they’d even installed a radiator in my airing cupboard. The work was carried out efficiently and very professionally. I would gladly recommend." "Great service from the company. The new boiler is now installed in the loft making free space in the bedroom. The work was neatly done and, although it took an extra day, the overall result is extremely good." "George arrived promptly and gave me a very detailed quote. The two guys on the job were very courteous and efficient. They worked through the day and cleaned up everything when they left. I recommend the firm unreservedly." "I’m very pleased with the boiler installation and very thorough powerflush of the system. I found Terry to be very polite, honest and hard working. I’ll definitely have him back every year to service my lovely new boiler." "South London Heating, are without a doubt one of the best. They were great, explained everything, removed all old boilers and installed a perfect new boiler - which is still going strong after 2 years. Couldn’t be happier with his job and will definitely be calling again for more work!" "The service we received from Activate Energy was first class. The boiler was fitted by Ian who carried out the work quietly and efficiently. Within a few hours and with hardly any disturbance, the boiler had been fitted - you’d hardly know anyone had been there!" "A very professional staff, who kept to the time and date for the installation. They were very well organised - removed our old boiler and fitted the new one in just a few hours with minimum disruption. All the team were very friendly and I would certainly recommend this company to anyone who wants a good job doing."